However, Giant’s disappointment was short-lived as in 1995, he learnt that Reggae Sumfest had replaced Reggae Sunsplash on the Montego Bay entertainment calendar and since then, he has been travelling to Jamaica for the past 23 years to satisfy his passion for reggae music and his growing love for Jamaica. “My first Reggae Sumfest experience was in 1995. Basically, it’s been 23 years without interruption,” said Giant. “I love the music, the parties, the beach… the Jamaican way of life style. That’s why I come back every year,” said Giant. While each new year at Reggae Sumfest gives giant fresh “emotions, sensations, vibrations,” there are some special memories that have not dimmed over time. Like many fans of Reggae Sumfest, Giant is mightily impressive by this year’s star-studded line-up and has identified several acts he can’t wait to see. “I am looking forward to seeing Damian Marley, Cham, Capleton, Sizzla, Assassin, Beres Hammond, Raging Fyah,” said Giant. As Reggae Sumfest celebrates its 26th anniversary this year, the greatest and only reggae show in Jamaica has, again, opened its doors to Africa. Reggae Sumfest’s CEO Joseph Bagdonovich, in his bid to unite through music, has extended an invitation to Ghana’s most popular dancehall artiste, Stonebwoy. Bagdonovich has also made the streaming free for Africans to watch. Ghanaians can join the global live stream of Reggae Sumfest on both Friday and Saturday via reggaesumfest.cleeng.com or www.ameyawdebrah.com. Some patrons who attended the Sumfest “Colour-Fest” Beach Party at Tropical Bliss in Montego Bay, St James on Sunday, enjoyed the event from the vantage point of their cabanas. The cabana concept, which was introduced to the 26-year-old Reggae Sumfest this year, allowed patrons to rent a cabana for the night. It not only offered a bird’s eye view of the activities, but also the added comfort of a beach bed. Director of Reggae Sumfest, Robert Russell said the venue, Tropical Bliss, provided the perfect location for the introduction of the cabana concept. He said patrons “warmed” to the idea which resulted in the cabanas being “sold out” in short order, once the gates to the venue were opened. “We at Reggae Sumfest are always on a mission to improve the experience of our valued patrons and the Cabana concept presented us with an avenue to add luxury to the beach party. We obviously didn’t have enough Cabanas to rent, but the patrons who were lucky enough to secure one, were very happy,” Russell said. Meanwhile, patrons who had to be at the venue very early on Sunday in order to rent their cabana, were very pleased they did and commended the organizers of Sumfest for such a futuristic and patron-centred move. “We are very pleased that we were able to get one of these wonderful cabanas to rent for this party. The world is moving in the direction of bringing luxury to parties and entertainment events and we are happy that Sumfest has joined the trend,” a patron, Michelle Jones said. Sunday’s Sumfest “Colour-Fest” Beach party saw hundreds of fun-loving party-goers descending on the venue for the high-energy event which was hosted by the “Curvy Diva” Yanique Barrett and Noah Power and featured DJs Team Shella, Jigga and Crazy Neil. 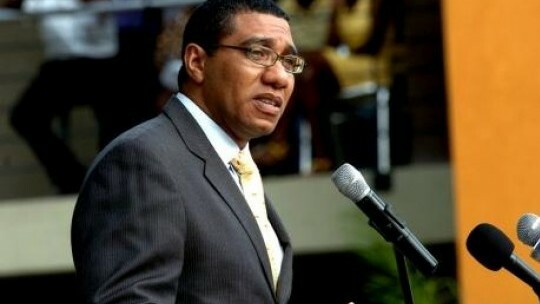 Prime Minister Andrew Holness has asked the security forces to consider special operational plans to facilitate this year’s staging of Reggae Sumfest without undermining the State of Public Emergency in St. James. Speaking in the House of Representatives Tuesday, Mr. Holness said the government has designated a special entertainment district in Montego Bay. The Prime Minister said there will be some leeway until the festival ends on July 22. This is aimed at facilitating the extended operations of some establishments for Sumfest in this district. These include clubs and fast food restaurants, gas stations, supermarkets and other places offering goods for sale. He noted that consideration will also be given to persons in the St. Catherine North Police Division which is under a State of Public Emergency. Irish & Chin’s World Clash is now going to be LIVESTREAMED. top reggae and dancehall artists. Reggae Sumfest 2018 by registering for the the free Live Stream events ~ Join Us!